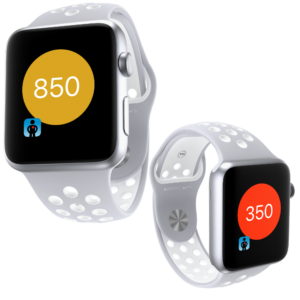 Paired with HealthMetric, the Apple Watch becomes more powerful in improving your health. Fully integrated with Apple Health, the Apple Watch tracks your activity, vitals signs, sleep, and mindfullness–allowing your data to be automatically harvested by HealthMetric. Great for fitness gurus and those who take a more passive approach to their health, the Apple Watch is built for everyone. With the Intelligent Activity Tracker, Apple Watch tracks all the ways you move throughout the day, whether you’re biking to work, doing cartwheels with the kids, or hitting the gym. And with cellular, you can share your activity progress from a trail, the track, or even the middle of the ocean.